In 2003 we invited local MPs, The Mayor of the City of Derby, councillors and other representatives of Derby City Council to an event held at our local Ukrainian Catholic Church in Derby to commemorate 70 years of The Holodomor. It was there where I met Phil O’Brien who invited me to participate in the planning work for HMD in 2004. So for the next 11 years we have been honoured and proud to be part of this successful planning group. Phil has also witnessed our Ukrainian Dance Ensemble ‘Hoverla’ perform at previous City Council events so he was already aware of our involvement in local community through Cultural Diversity. Although the HM Government and in turn the National HMD Committee do not yet recognise the Holodomor as a Genocide, Derby’s HMD Planning Group has always supported other Genocides at the main HMD events as well as the Holocaust and this was very positive and encouraging for branch members of the Association of Ukrainians. Many countries in the Western world such as the U.S., Canada, Australia, Italy, Spain etc. have recognised The Holodomor officially as a genocide and the U.N. also recognised it as such on 9th May in its International Commission enquiry into the 1932-33 famine in Ukraine. All we want is for the UK Government to recognise The Holodomor as an Act of Genocide against humanity in Ukraine where over 7 million Ukrainians perished at the hands of Stalin’s enacted man-made famine, one third of them children. We must never forget this evil assault on the people of Ukraine by the totalitarian Soviet regime and for it never to be repeated again. Working with other local ethnic communities in Derby through the HMD Planning group we have managed to get our message across locally and we have even printed an 2 page insert about The Holodomor and added this to the National HMD pamphlet. 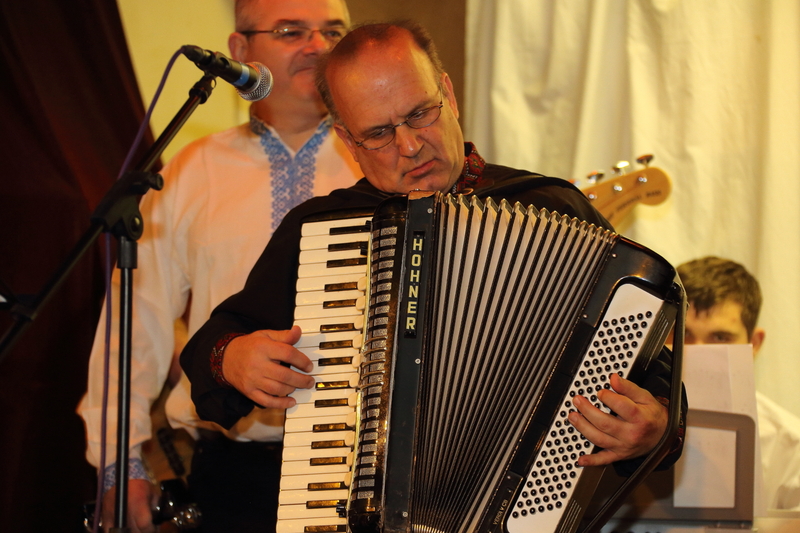 Over the years we have also performed many traditional Ukrainian folk dances and tunes at the main events and have also performed collaboratively with other groups namely the Congolese in the early years and recently with the local Jewish community musicians. We have also enacted other performances through interviews and power point presentations at the 75th and 80th Commemorations of The Holodomor. Let us, through striving for peace and prosperity for all nations, work to ensure such horrors never happen again and this is what we preach every year at our local HMD events.